The University of Groningen (RUG) is a modern, internationally oriented institution which builds on a longstanding tradition of almost four centuries and which is today ranked as one of the top 100 Universities in the world. The Faculty of Law of the University of Groningen is one of the largest faculties in the Netherlands and has a strong research tradition in a number of fields including European law, information technology law, constitutional law, international law, public law, civil law and a variety of interdisciplinary fields. 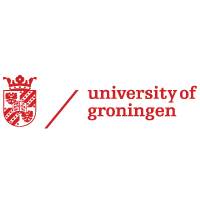 The STeP, ‘Security, Technology and e-Privacy‘ Research Group, will be responsible for the University of Groningen’s contribution to the EVIDENCE project. STeP is an interdisciplinary team of researchers organised within the Department of European and Economic Law. STeP covers many areas of information policy & technology law including privacy, data protection, security sciences, surveillance, cybercrime, self-regulation and health informatics and builds on 20 years of collaborative experience between senior team members. 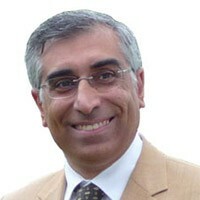 Prof. Joe Cannataci holds Professorial appointments in Australia, Malta and the Netherlands. He currently co-leads the STeP Research Group, which he also co-founded following his being appointed to the Chair in European Information Policy & Technology Law at RUG. He is a UK Chartered Information Technology Professional & Fellow of the British Computer Society with over twenty years’ experience of designing, planning and implementing small, medium and large-scale IT projects. Professor Cannataci is also a lawyer and recognised as one of the leading European experts in Technology Law especially data protection law. His doctor of laws thesis (Melit.1986) on data protection law was published by the Norwegian University Press in 1987 and has since been followed by several other publications in the field of privacy and data protection. Among other things, he was Chairman of several Committees of Experts of the Council of Europe in the area of ICT and data protection. He was also Rapporteur to the Council of Europe on the review of Recommendation R(87)15 on the protection of data used for police purposes, which is the data protection standard applied to the Schengen Treaty. He has co-authored an in-depth review of this leading European legal instrument governing protection of personal data as used by police and in 2010 published the first study on privacy and smart surveillance systems. His contribution to evidence-based policy-making is also carried forward through his work within the Department of Information Policy & Governance at the University of Malta while his other interests in computer science perspectives are maintained through his involvement in the Security Research Institute at ECU, Australia. 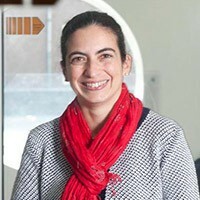 Prof. Dr. Jeanne Pia Mifsud Bonnici is a Rosalind Franklin Fellow and holds the Chair in European Technology Law and Human Rights at the Department of European and Economic Law at the Faculty of Law of the University of Groningen, The Netherlands. 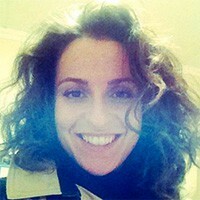 She is currently co-leader of the Security, Technology and e-Privacy Research Group (SteP) at the same university. STeP brings together a multidisciplinary group of researchers covering many areas of information policy & technology law including privacy, data protection, security sciences, surveillance, cybercrime, self-regulation and health informatics. Jeanne holds two doctorates in law (University of Malta, 1995; University of Groningen, 2007) as well as a Masters in Cognitive Science (University of Birmingham, 1996). For over 15 years she has carried out extensive research on the role of self-regulation in the regulation of activities on the Internet and has authored a book on ‘Self-regulation in Cyberspace’ (Asser Press, 2008). For over 15 years she has researched and written on different aspects of data protection law and privacy especially issues relating to healthcare, medical information and police data. She was also involved in the drafting of the earlier versions of the Data Protection and Freedom of Information Bills for Malta as well as a project examining the implementation of Council of Europe and European Union rules on medical data in 23 countries. In 2005 Prof Mifsud Bonnici co-authored a study on Data Protection and the EU Charter of Rights while in 2006 she also co-authored a book chapter on European regulation of protection of personal data used by police forces. She is currently involved in seven European Union funded projects amongst which MAPPING – dealing with issues of Internet governance, online privacy and online intellectual property (www.mappingtheinternet.eu); SMART – on smart surveillance technologies (http://www.smartsurveillance.eu/) and RESPECT – identifying ways on how to balance security and privacy needs through privacy-enhanced convenient technologies (http://respectproject.eu/). Bettina Zijlstra works as EU Projects Manager/Projects Officer and Head of Project Office at the Faculty of Law of the University of Groningen. She is currently the Project Manager of the CONSENT, RESPECT and MAPPING projects. Bettina holds a Bachelors degree in Business Administration and a LL.M. degree in International and European Law. After receiving her BBA degree she followed a one year Leadership Program at the MorningStar University in Charlotte, NC, U.S. After gaining this international experience she continued her studies in the Netherlands with achieving the LL.M. degree in International and European Law. She wrote her Master’s thesis on: ‘The Whereabouts System and the Right to Privacy’ at the department of European and Economic Law. During her years of studying Bettina has held fulltime (management) positions at different major companies gaining experience in the field of financial, administrative and project management. Since May 2010 she has been working at the University of Groningen and since December 2011 she works at the Faculty of Law of the University of Groningen. Bettina is a certified PRINCE2 Practitioner. Currently working as a Senior Legal Researcher within the Security, Technology and e-Privacy (STeP) Research Group of the University of Groningen (RUG), Shara Monteleone has been involved for many years in projects and studies related to Law and Technology, conducting also comparative research on European and national regulations. Ms. Monteleone graduated from the Law Faculty of Florence (Italy) and holds a PhD in Law and Technology (MICC & Department of Public Law, University of Florence). She earned an MRes in Communications and Law from the University of Florence and an LLM from the European University Institute (Florence). Before joining the University of Groningen, she worked as a Scientific Officer in at the Institute for Prospective Technological Study (IPTS, Seville) of the European Commission - Joint Research Centre (JRC), conducting policy analysis in the area of Digital Living and e-Identity, focusing on Data Protection as well as on e-Signature and Trust Services legal frameworks (and respective reforms). She presented papers, participated in workshops and organized conference panels in international conferences (e.g., at the Computer Privacy and Data Protection conference, CPDP, Brussels). As a Researcher at the University of Florence (Constitutional-Media Law) and partner in the EU co-funded project “Support to the reform of Serbian media legislation towards EU standards and strengthening of legal and technical skills of media professionals”(CARDS, 2004/2005), she participated in the drafting of the first Serbian model Law on Data Protection, according to the European standards. 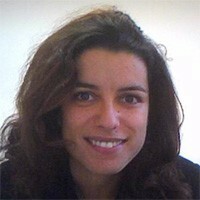 As a Post-doctoral researcher, at INRIA Grenoble, France, she worked for the PRIAM project (“Privacy Issues in Ambient Intelligence”), in a multidisciplinary working group of lawyers and computer scientists. As a partner of the EU projects AEEC “Admissibility of electronic evidence before Court” (AGIS-2005) and ECCE “European certificate on e-evidence and cybercrimes” (JPEN 2007), she examined the European legislation and practices related to e-Evidence and related data protection issues. Her professional experience includes research activities for CNR-ITTIG (Florence, Italy) EUI (Department of Law), Fondazione Rinascimento Digitale, CENTRICA, Chamber of Commerce (Florence, Italy). Melania Tudorica, LL.M., is a researcher in EU projects at the Department of European and Economic Law at the Faculty of Law of the University of Groningen (the Netherlands), and a member of the Security, Technology and e-Privacy Research Group (SteP) at the same university. Melania holds a Bachelors degree in Law and a LL.M. in International and European Law (University of Groningen, 2011). During her studies she worked as a research and teaching assistant at the Department of European and Economic Law at the Faculty of Law of the University of Groningen. She wrote her Master’s thesis on ‘EU Asylum Law v. Human Rights’ under the supervision of Prof. Dr. G.P. Mifsud Bonnici. After graduating she combined law practice and academia for 3 years after which she decided to devote herself to research. 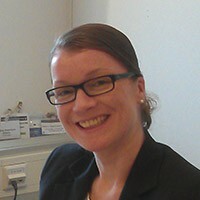 She is currently involved in several European Union funded projects amongst which SMART – privacy and data protection implications of smart surveillance technologies (http://www.smartsurveillance.eu/); RESPECT – legal, economic and social costs of surveillance technologies (http://respectproject.eu/); E-CRIME – economic impacts of cyber crime in non-ICT sectors across jurisdictions (http://ecrime-project.eu/) and EVIDENCE.